Your beautiful thatched home is worth it. Don't settle for anything less than the best. You’re the proud owner of a stunning thatched home. You could go to any home insurance company. A few of them will help you insure a thatched house. But it might end up a long, drawn out, expensive and painful process, simply because thatched properties are unusual, and anything ‘non-standard’ tends to send ordinary home insurers into a spin. You need expert support from a highly experienced thatched home insurance broker who knows the market, understands the specific risks that come with insuring thatched homes and knows exactly where to find the best value for money, best quality cover. Avoid delays, underwriting issues, unfair ‘special conditions’ , excesses and policy endorsements. Specially designed affordable thatch insurance plus invaluable help, advice and support for the owners of thatched homes. 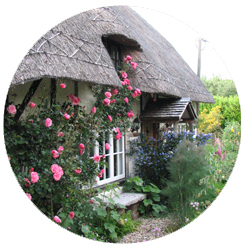 More than 40 years’ experience in thatched property insurance. We’re one of Britain’s most popular providers of insurance for people who own thatched, listed, period, heritage, historic and high value homes. 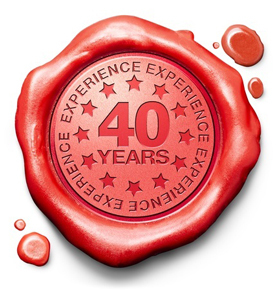 We have decades of experience helping people like you insure unusual homes and their contents. In fact we insure more than £1 billion worth of the nation’s thatched homes, both for people like you and for banks, building societies and fellow insurance brokers. All our thatched house insurance policies are backed by triple-A rated insurance companies, giving you real peace of mind when it matters most. Already have a thatched home? If you already own a thatched home, how about contacting us at renewal to see if we’ll get you a better deal? If you’re considering buying a house with a thatch roof, thatched home insurance is our speciality and we’re always delighted to answer questions.